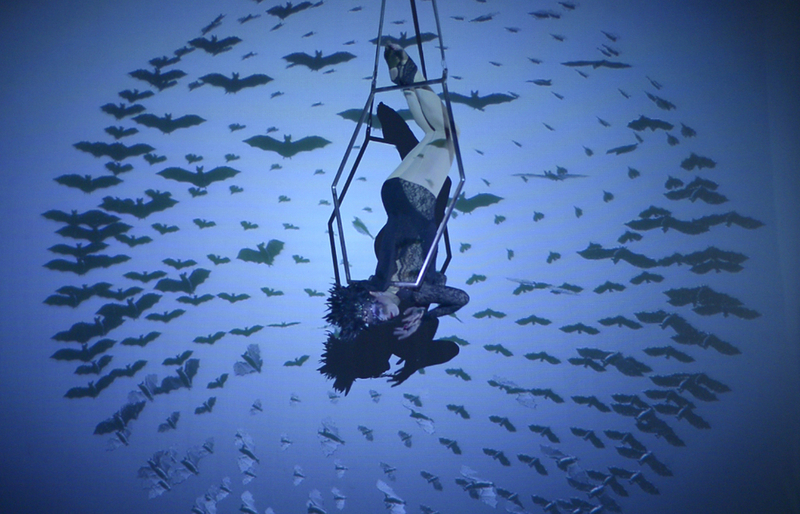 DIGITAL CIRCUS combines traditional circus acts with technology to create visually arresting performances. Wearable Sensors and Infrared Camera's generate real time, interactive, motion tracking projections. Spine chilling in its timeless grace, ‘Ivy’ is a love story, featuring an aerialist on a hexagon, dressed in black lace with emerald crystals ,commanding her flock of animated bats to dance with her across the stage and fly with her in the air. 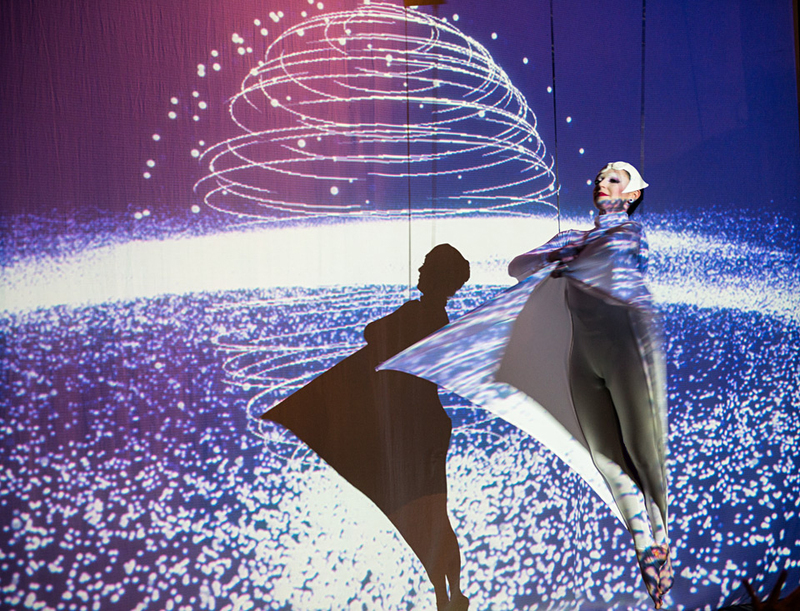 Neon coloured concentric circles revolve on a gyroscopic axis, in a perfectly harmonised duet with an aerial hoop artist,wearing a glittering white space suit. as the landscape appears to fly out to meet them.